However, the formulation of tough, monolithic, flexible coatings such as polyurea is now resolving this issue. When applied directly to concrete or metal surfaces, polyurea not only reinforces and protects the underlying substrate but can also bridge gaps or cracks of 1/8in or larger. 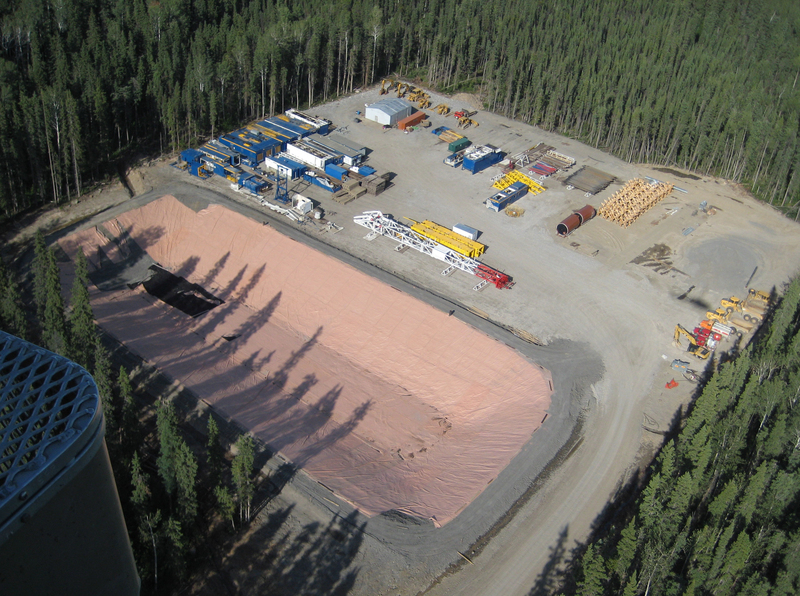 Furthermore, polyurea is now being pre-applied to geotextile liners that can be quickly rolled out in sheets to protect more heavily damaged surfaces or for use in applications such as dirt or gravel pads at drilling sites. Once installed, applicators need only coat the seams of the liners to create a monolithic surface that is ideal for containment. 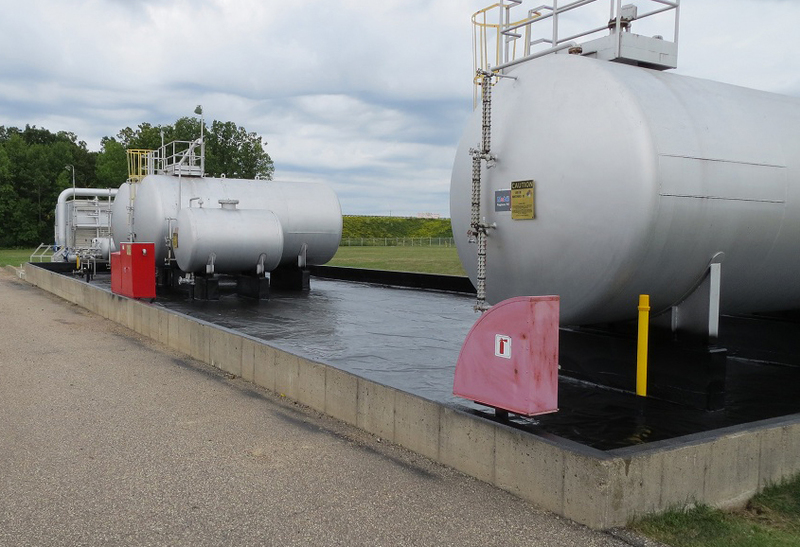 At drilling sites in the North American market, federal and state regulations mandate the use of primary and secondary containment systems to keep toxic or hazardous substances from escaping into the ground and potentially entering the water supply. Implied in this requirement is the understanding that primary containment (typically via a concrete or metal storage vessel that holds chemicals or liquids) is not foolproof. Though durable, metals corrode, concrete cracks and is porous as well, so will leach liquids if uncoated. This requires secondary containment, which often takes the form of concrete pits with barriers installed around the perimeter of a tank or other storage container. To protect these structures, coatings such as epoxies, tars and polyurethanes are often applied as an added barrier of protection. However, these traditional coatings are frequently inflexible when cured and can crack along with the concrete. 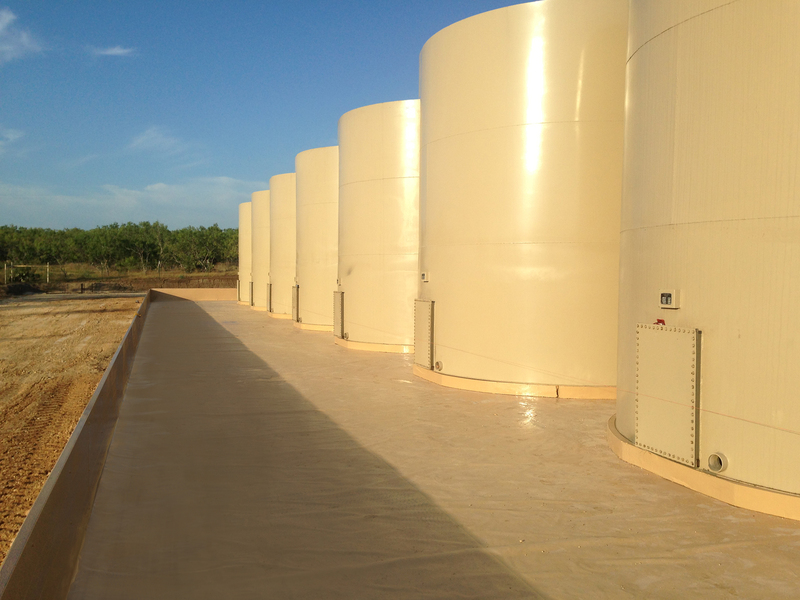 “Typical coatings do not hold up well to substrate movement or daily, seasonal or process-related thermal expansion and contraction, which can lead to cracks and leaks,” says Jim Collins, co-owner of South Penn Resources, a company that creates containment systems. After considerable research and testing, Collins says he turned to an advanced polyurea system from VersaFlex, a leading manufacturer of spray-applied polyurea for primary and secondary containment. When applied to substrates such as concrete or steel, the spray-applied waterproof coating creates a durable, seamless, flexible, protective barrier that stops leaks and strengthens the integrity of primary and secondary containment systems. The coating exhibits superior physical properties such as hardness, tensile strength, as well as crack bridging and elongation up to 400%, to create a robust, industrial-grade protective lining. When compared to traditional coatings, Collins also appreciates the quick return to service possible when spraying the polyurea system for containment. Where traditional coatings such as cementitious, epoxies, tars and polyurethanes will prematurely fail if not installed under a relatively narrow range of temperatures, polyurea is designed for installation and use from -40°F to +350°F. It sets and cures quickly and will withstand decades of freeze-thaw cycling, as well as wide variations of temperature and humidity. Although spraying polyurea directly to the substrate has many advantages, for containment over soil, gravel or even concrete that is too damaged to be effectively rehabilitated, pre-sprayed composite panels offer superior protection. This solution is particularly suited to field applications that must be able to endure heavy traffic from trucks loading or unloading materials. Although plastic liners that are seam-welded together are often used for such applications, they are more easily punctured and can bunch up under heavy use.